A chance discovery of thousands of letters between an exiled German Jew and his family and friends living in Nazi and post-war Germany, as well as around the world, has led to a fascinating research project for University of Southampton historian Dr Shirli Gilbert. Ralph Schwab sought refuge in South Africa after the Nazis came to power in 1933 and his correspondence with relatives and friends, some back in Germany, stretches from the 1930s through to the 1960s. The forgotten collection of 2,500 letters was recently discovered by his grandson Daniel Schwab in his parents’ garage in Johannesburg. 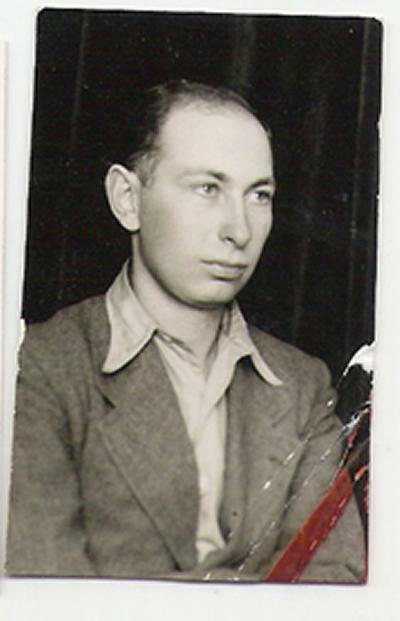 Ralph, a Jewish youth leader, escaped from the town of Hanau near Frankfurt after being encouraged to leave by his friend and Nazi party member Karl Kipfer, who feared he would be arrested. The pair continued to write to each other for many years and the collection contains dozens of letters which they exchanged. Ralph’s parents Max and Martha remained in Hanau and were later killed in concentration camps, along with many other family members. The letters chart Ralph’s desperate attempts to help his parents escape Nazi Germany. Dr Gilbert comments, “Ralph kept carbon copies of everything he wrote, as well as keeping the replies he received. This means both sides of the correspondence can be studied, giving a fascinating insight into his life and the lives of his loved ones during this turbulent period in history. This research project has been awarded a grant of approximately £9,000 from the Kaplan Kushlick Foundation in South Africa, to contribute towards the cost of translating and cataloguing the letters. Dr Shirli Gilbert plans to write a book about the collection and Ralph Schwab’s life. Ralph died in a road accident in 1971. His letters are currently held at the Yad Vashem Archives in Jerusalem.